Included in the main Purser House but privacy enjoyed. Located within the main Purser House with private entrance. 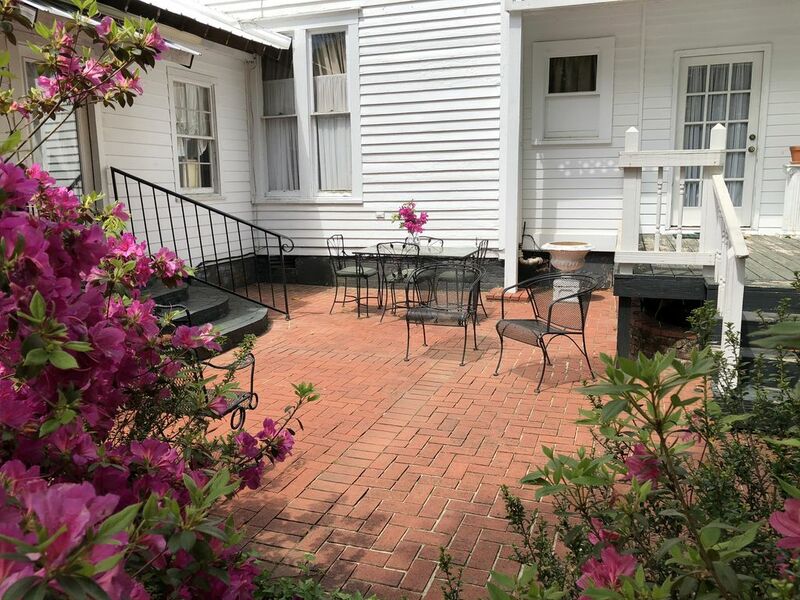 Amenities include kitchenette with microwave, refrigerator, coffee pot, toaster, two bedrooms, one bath, a private entrance with one parking space provided. This property is an easy two minute walk to the square and a four minute walk to the grove, so once you arrived, you will probably not move your car again. It's been said that over one hundred thousand people walk by this location for all the main ballgame weekends! Please come and enjoy!